Naija Wink: Photos-- 23-Year-Old Nigerian man arrested after Scaling White House fence! Photos-- 23-Year-Old Nigerian man arrested after Scaling White House fence! 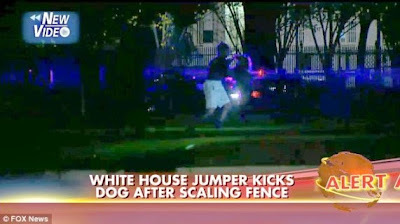 Dominic Adesanya, based in Maryland, has been arrested after jumping the White House Fence. According to police reports, around 7.15pm yesterday Wednesday October 22nd, Adesanya, 23, climbed the fence on the North Lawn of the building and got about 20 yards past the fence before he was taken down by Secret Service and dogs.